They just keep on coming... Another fine (if not essential) late 70s Burman effort. 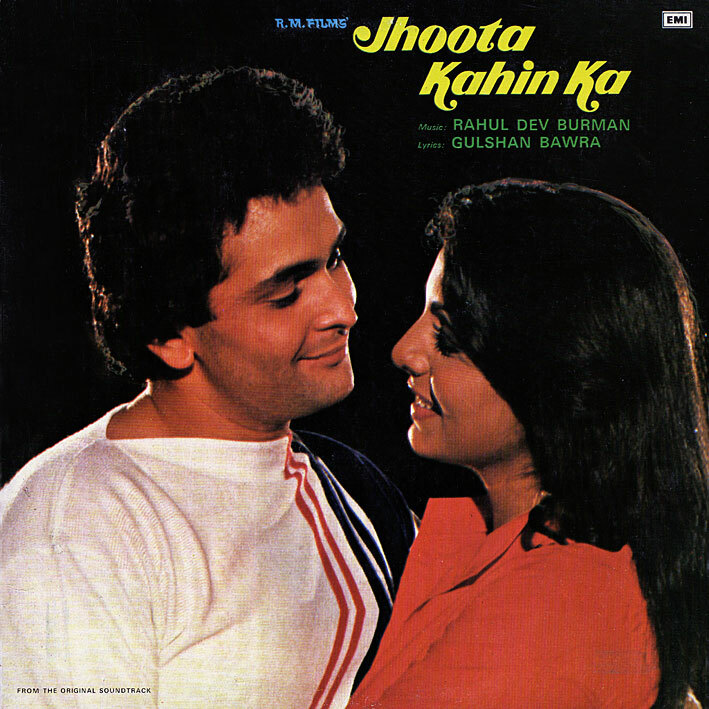 Three catchy easy-pop tracks ('Dil Men Jo Mere', 'Dekho Mera Jaadoo', 'Jeevan Ke Har Mod') and a cool instrumental (dramatic at first, then light and breezy) make 'Jhoota Kahin Ka' a very listenable soundtrack. And who other than RD begins an album with a Woody Woodpecker impression? Thanks for this album. The title song by Asha Bhonsle was so familiar to me, but I could not pin-point it for several hours. After searching YouTube for a while, I finally found the original version of the song, by Asha herself, in this Indian language called Bengali. Link below. Apparently, R.D.Burman, like Salil Chowdhury made most of his tunes originally in this Bengali language, and then repeated it again in Hindi and other languages. Usually Lata or Asha sings both versions, it seems.